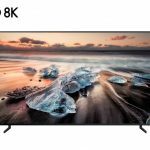 Samsung has revealed the pricing and availability of its stunning 2018 TV range which incorporate a host of new features and innovations to enhance your viewing experience. The line-up includes the new flagship QLED TVs alongside Premium UHD and UHD panels. At every level of the range is stylish design, smart connectivity and impressive picture quality which can be enjoyed in any viewing environment. Samsung was also addressed the growing demand from Australians for larger screen televisions. Seven models in the range are 75-inch and above. And because of the higher quality and ultra-high definition resolution, viewers can watch a 75-inch TV comfortably from just 2.3m away so even a small room can be turned into a theatre. They will be available in stores from April 23. 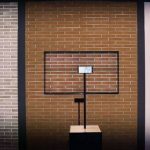 “The way Australians watch and use their TVs is changing and we’ve responded with a line-up that reflects their lifestyle, personal style and viewing habits,” said Hass Mahdi, head of AV, Samsung Australia. “The 2018 range opens up new experiences that will truly change the way people think about Samsung TVs and what our home entertainment products can deliver. “We continue to deliver on picture quality whilst recognising that Aussies want technology that works around them and their passions, whether they are watching sports, movies or gaming. 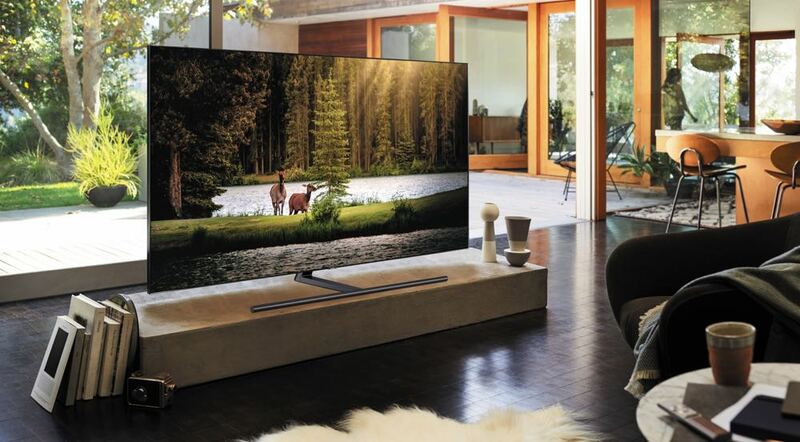 “With Ambient Mode you can instantly transform the TV into a functioning screen that matches its surroundings. 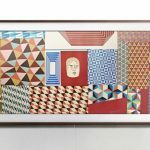 “With the latest in Samsung’s picture quality meaning you no longer need a big room to own one, we also know that Australians are looking for larger TVs. Aussies can now get closer to the action without distraction. 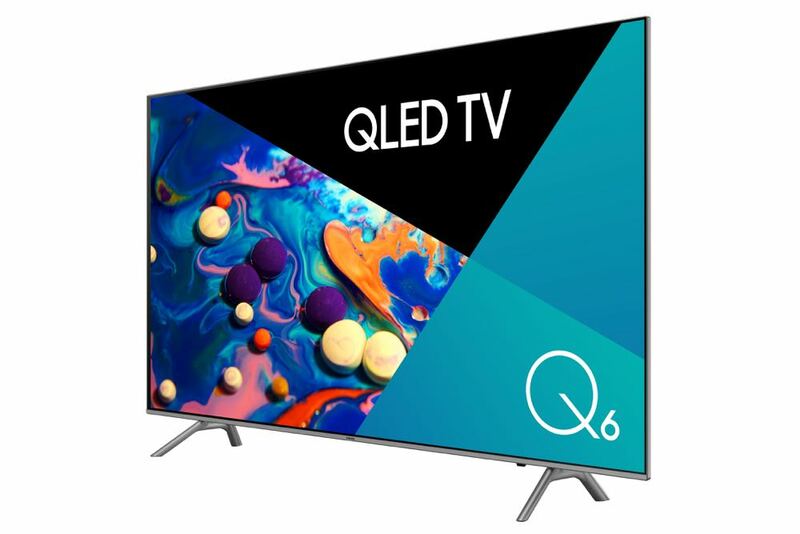 The Samsung TVs are divided into three tiers – the flagship QLED which utilises Samsung’s Quantum Dot technology, the Premium UHD which has 200 Hz motion refresh rate and HDR (high dynamic range) 10+ compatibility and the entry-level UHD which has 4K resolution and HDR 10+. The Quantum Dot on board the Samsung TVs is an inorganic material that helps colours remain accurate and bright and it’s resistant to damage from burn-in. In fact, the QLED range comes with a 10 year No Screen Burn In Guarantee. 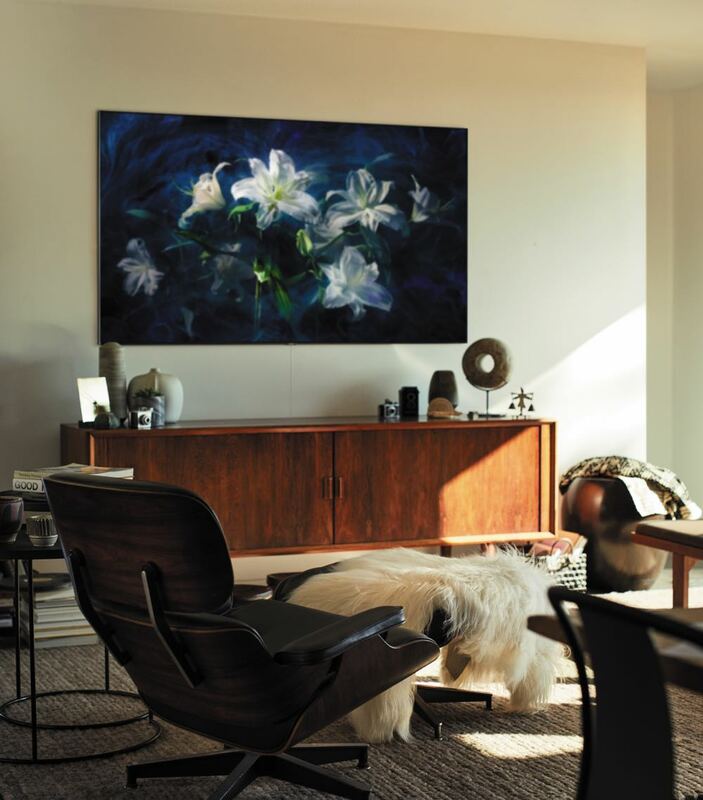 Samsung’s QLED and Premium UHD TVs are capable of displaying HDR 10+ content (currently available on Amazon Prime) which optimises colour and contrast levels for each scene in real time. 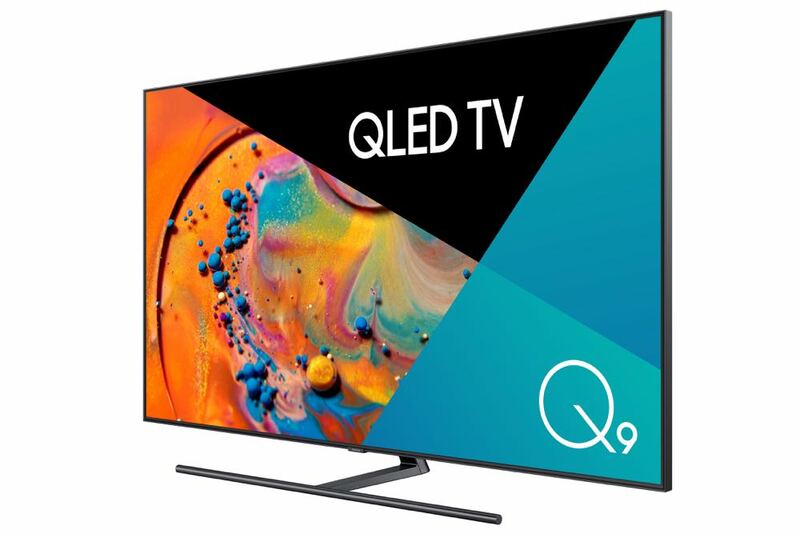 The Samsung Q9F and Q8F QLED TVs incorporate Direct Full Array technology to provide deeper blacks and reduced screening reflection thanks to a precise framework of LEDs. The Samsung QLED range can still be enjoyed even when you’re not watching TV with Ambient Mode. Users can choose to display their favourite images and useful information when the TV is not in use. 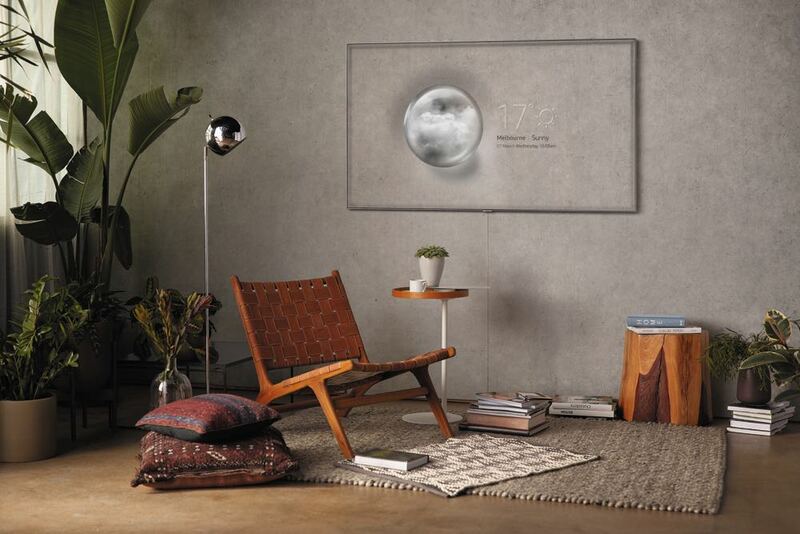 In Ambient Mode, the Samsung QLED TV can also detect the colour or pattern of the wall on which it is mounted and produce that same look on the screen which gives the TV a transparent appearance. 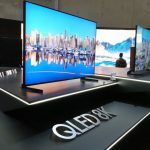 The QLED TVs also feature a single One Clear Connection cable which can transmit both data and power to the screen to avoid the mess of cable clutter. 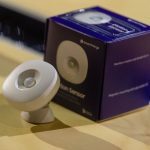 Across the entire range of Samsung’s TVs is the SmartThings app which allows users to control compatible Samsung smart devices in their home. 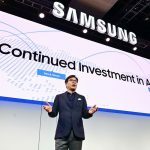 The smarts of the Samsung TV include the ability to detect a source, like a Blu-ray player or gaming console, when it’s connected and allow the user to control that device with the TV’s remote control which only has 10 buttons on it. Also on board are a growing number of Australia’s most popular TV streaming apps including Netflix, Amazon Prime, Google Play, YouTube, Stan and all the catch-up services.